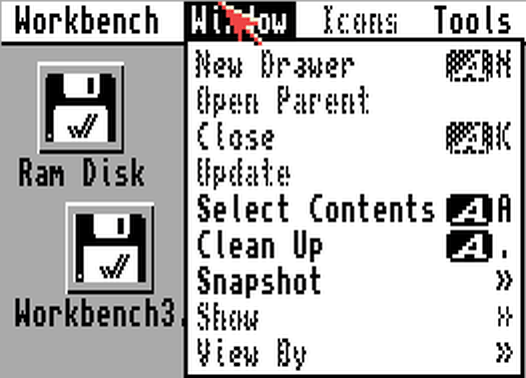 Kickstart 3.0 (version 39.x) was an evolution and refinement of the concepts in Kickstart 2. 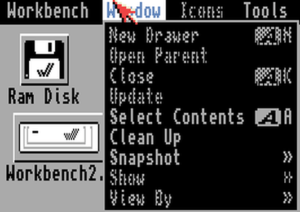 It was included as standard in ROMs inside the Amiga 4000 and Amiga 1200 machines, and required for the new Amiga Workbench 3.0 which came with these machines. 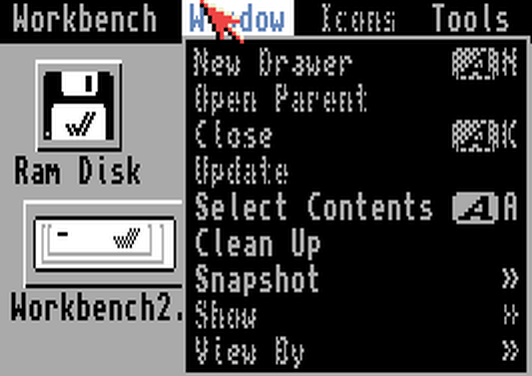 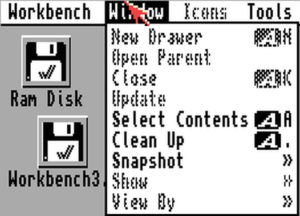 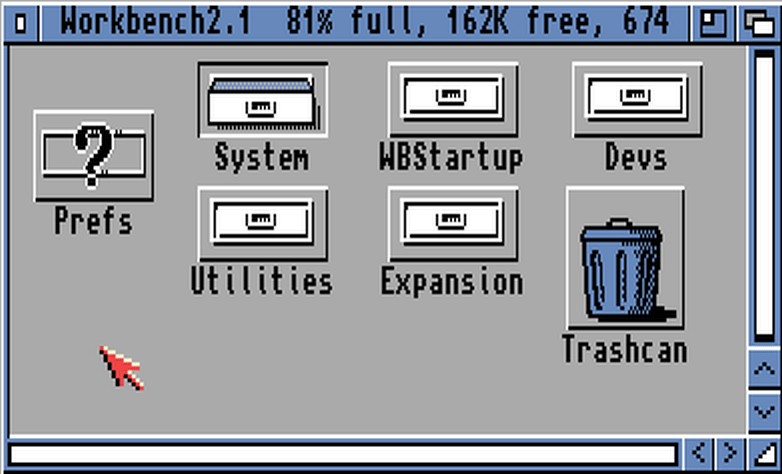 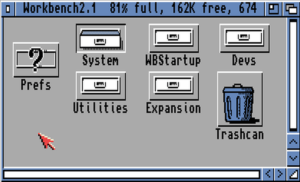 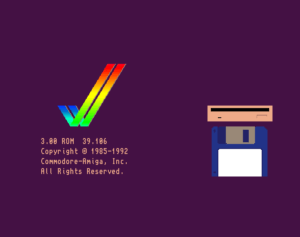 The menu bar also had it’s default colour scheme changed, making it better aligned with the pseudo-3D look of the light source being from the top left of the screen, providing more contrast and making unavailable menu options perhaps slightly easier to see at a glance.